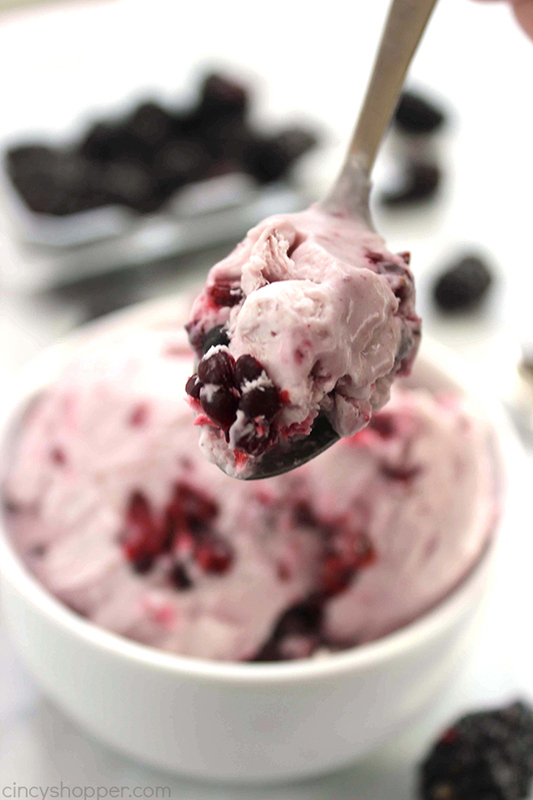 If you are looking for a super dessert idea, this No Churn Blackberry Ice Cream is going to be perfect. 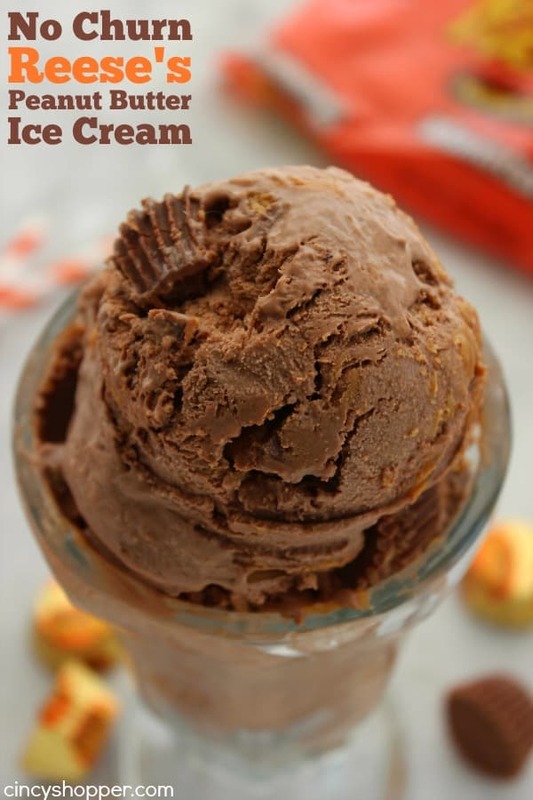 The recipe is super easy with No Ice Cream Machine needed. 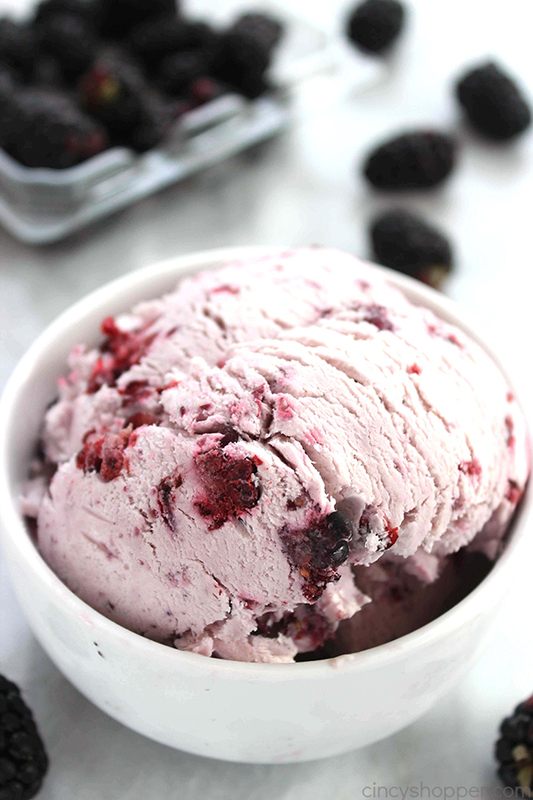 Plump blackberries are a perfect blend with the ice cream mixture. Blackberries are so darn tasty. They can be fabulous in quite a few recipes. Last summer, I made a Blackberry Honey Butter Recipe that I shared on our family blog, OurFamilyofSeven. That recipe became a favorite when blackberries were on sale last summer. 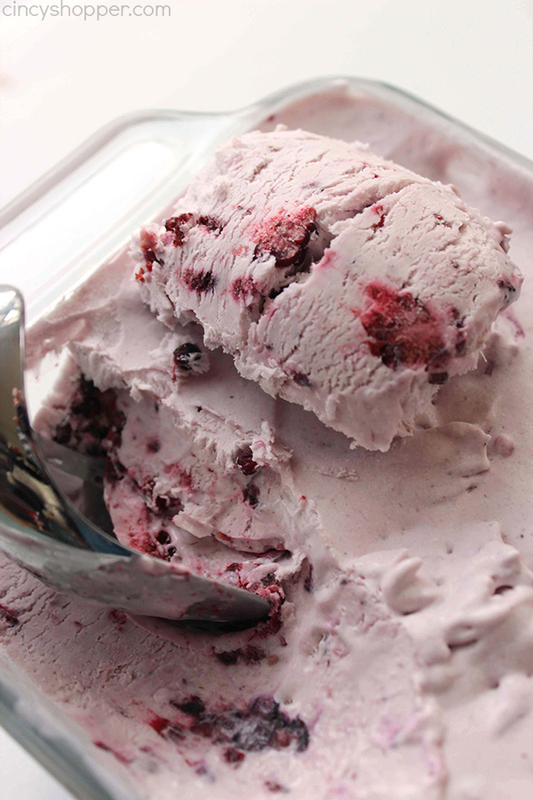 Another blackberry recipe we really enjoyed was this ice cream. We make ice cream almost constantly during the summer months. Since it is so super simple to make at home, it has just become a common dessert we enjoy to make. 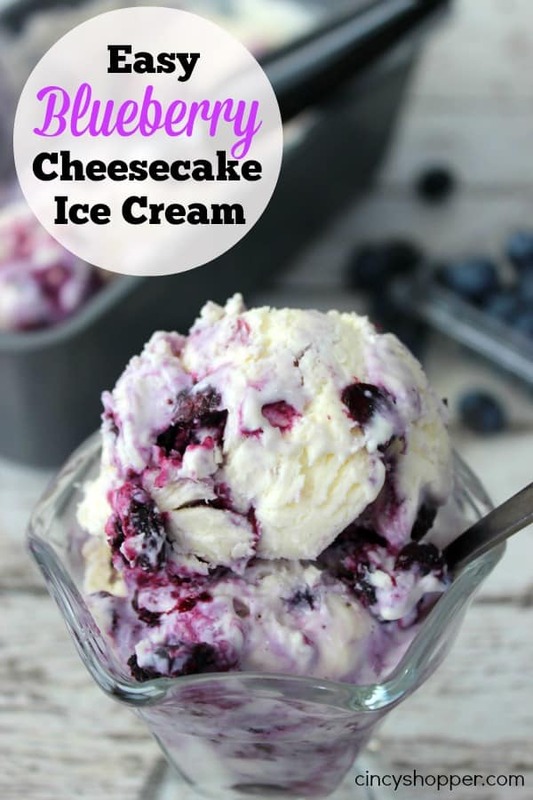 We have a large family so one batch is perfect for our after dinner dessert. I usually grab our loaf pan out of the fridge, toss some cones and bowls on the counter, and everyone makes their own. Perfect! 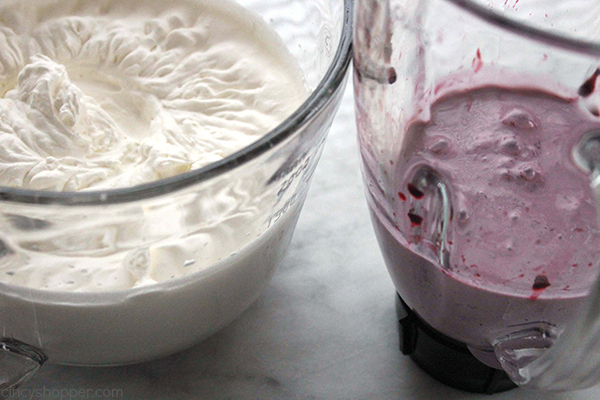 Making your own homemade ice cream at home without an ice cream maker is so super simple. 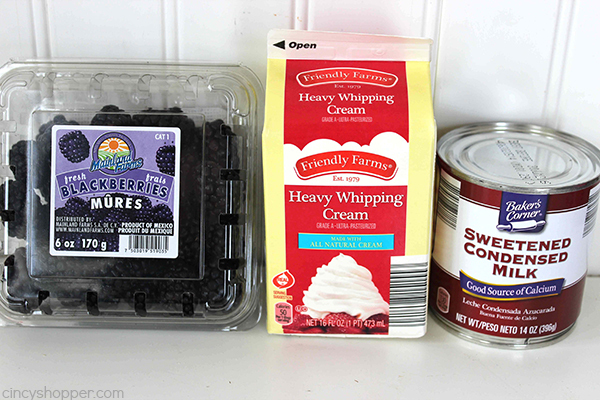 This recipe you will need heavy whipping cream, sweetened condensed milk, vanilla, and blackberries. You can have your dessert ready to freeze in just a few minutes time. 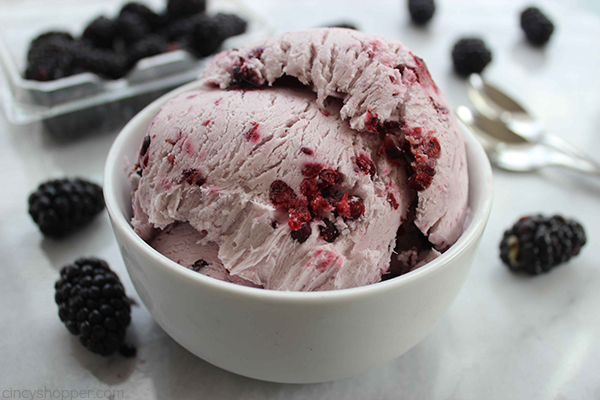 Do you have a favorite blackberry recipe? 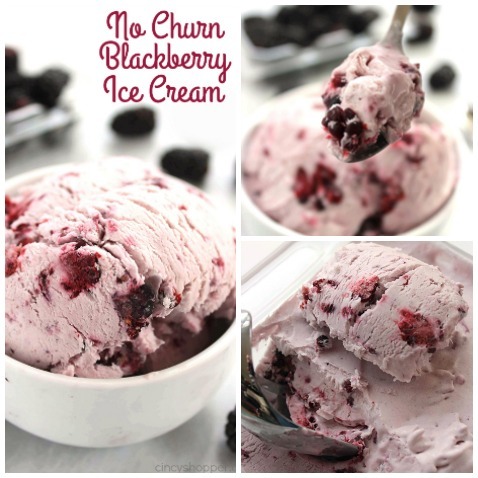 I love easy no churn ice cream and blackberries too. I cannot wait until blackberries are ready to be picked around here. 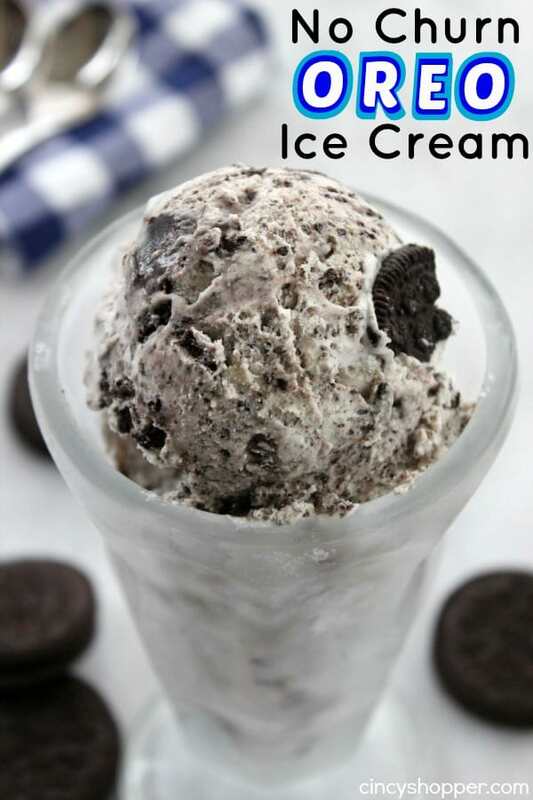 I will have to try this ice cream. YUM! 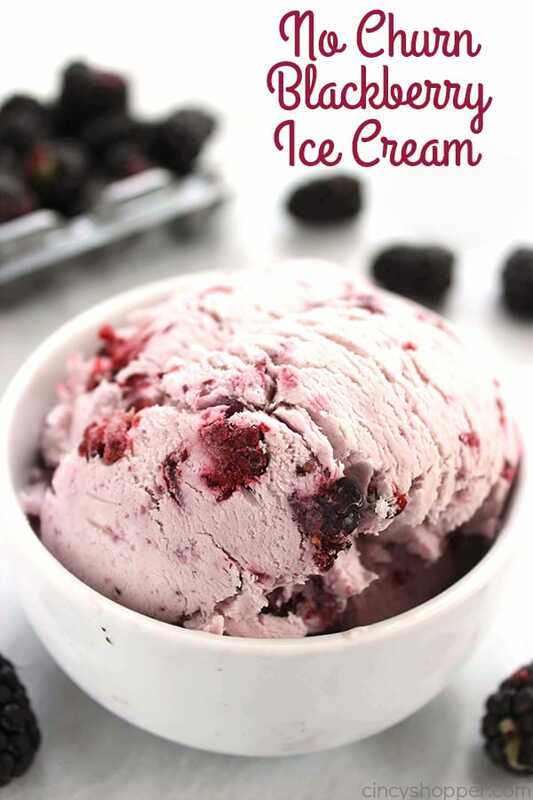 I’ve never made ice cream with blackberries and this looks the perfect summer recipe to change that. Thanks fof sharing this on Merry Monday. Pinned.